A lot of us have become cautious about other people's opinions. Especially when it comes to opinions that are different from ours, but asking for other people's input can help us grow. We gain perspectives that can help us see situations differently which could help us in the long run. The next time you need input, go outside your comfort zone and ask people who have different perspectives than you. 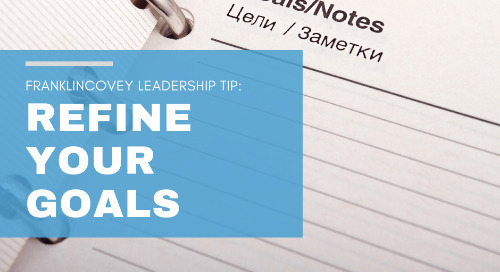 Learn how to effectively refine your goals into something measurable and attainable with this helpful tip. We can't change the past, but we can change the future. 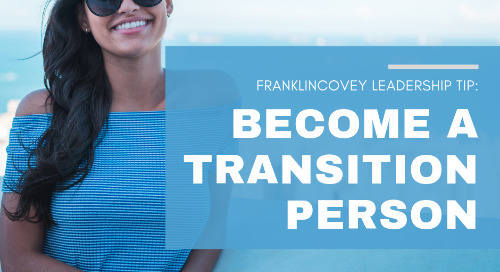 Learn what being a transition person means with this FranklinCovey leadership tip. 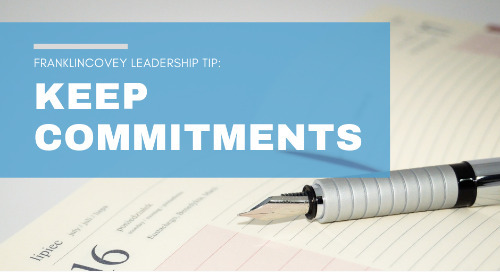 Make keeping commitments the symbol of your honor. 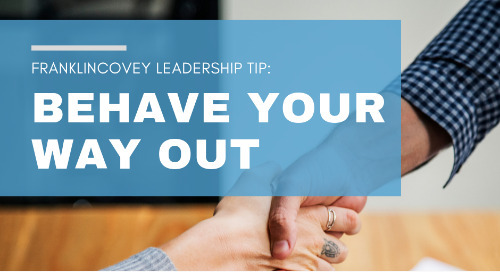 Learn how with this helpful leadership tip. Do you have a hard time with discussing tough issues? 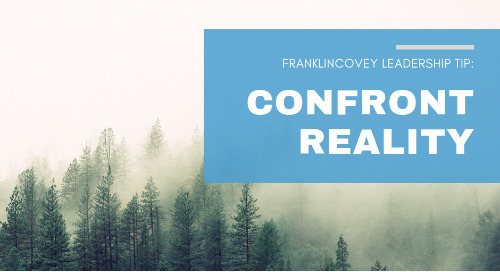 Learn how to confront reality with this helpful tip. 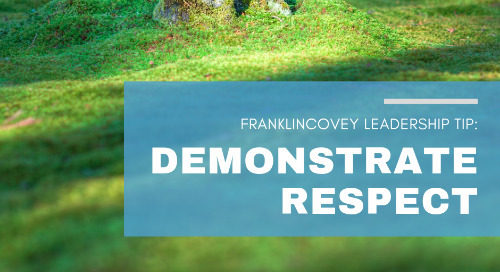 Do you know how to demonstrate respect towards everyone? Here is one way you can. As a leader, it is your job to clear a path for success and recognize performance. 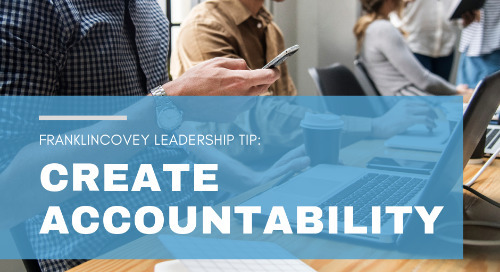 Learn how to create accountability with this FranklinCovey leadership tip. People play differently when they are keeping score. 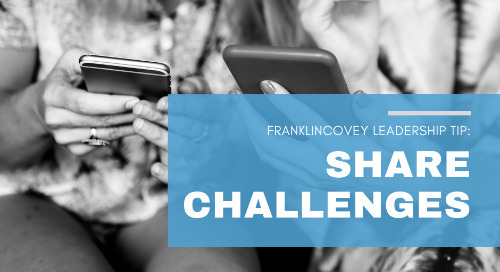 Here is a FranklinCovey leadership tip to keep engagement high. 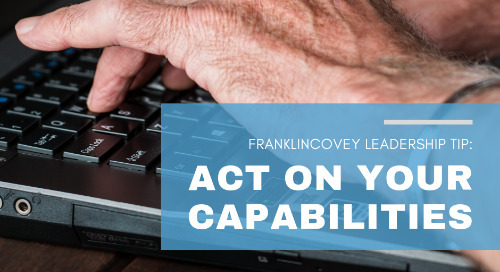 Do you know how to act on your capabilities? Check out this tip to learn how. 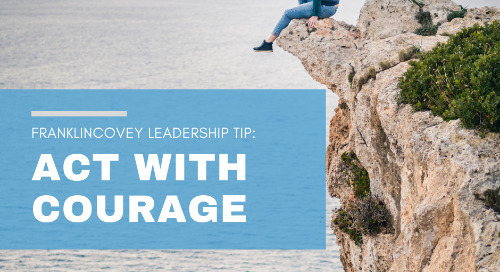 Courage takes vulnerability and might even be uncomfortable, but it is an essential quality for all leaders to have. 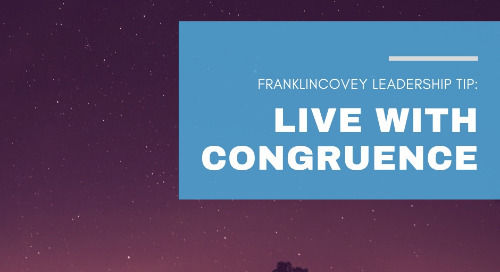 Do you know how to live with congruence? Learn how with this helpful tip. 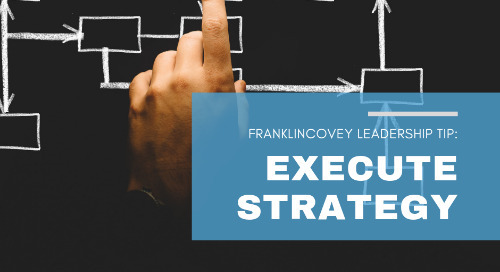 You can ensure strategic success by aligning the six rights. 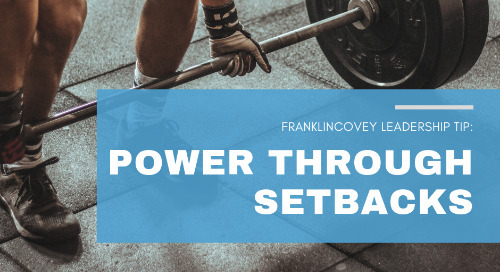 Set backs can be frustrating and will make you want to throw in the towel. 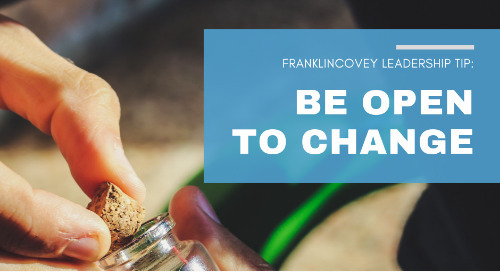 Here is a FranklinCovey leadership tip to help. Change is hard, but sometimes it is necessary. Words have power. Change the way you use them to change the way you see the world. 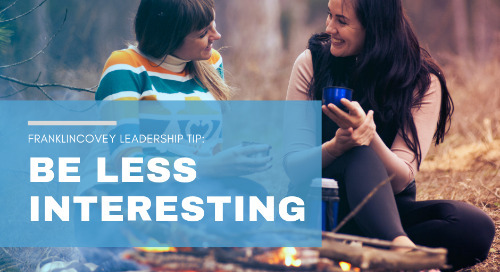 Here's a leadership tip to help. 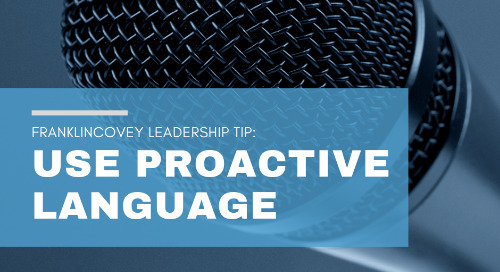 As Dr. Stephen R. Covey said, "You cannot talk your way out of a problem you've behaved yourself into." Be more interested in other people instead of trying to be interesting. When you think leader, humble isn't always the first thing to come to mind. 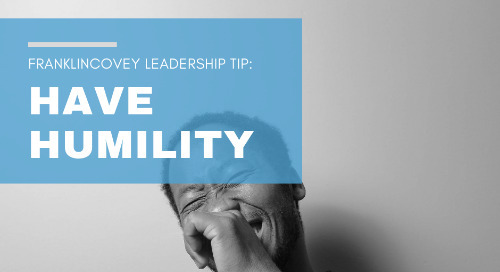 In reality, one of the most underappreciated leadership qualities in this world is humility.